Trees are not only important to the Celts. They are important to all of humanity. They give us air to breathe. 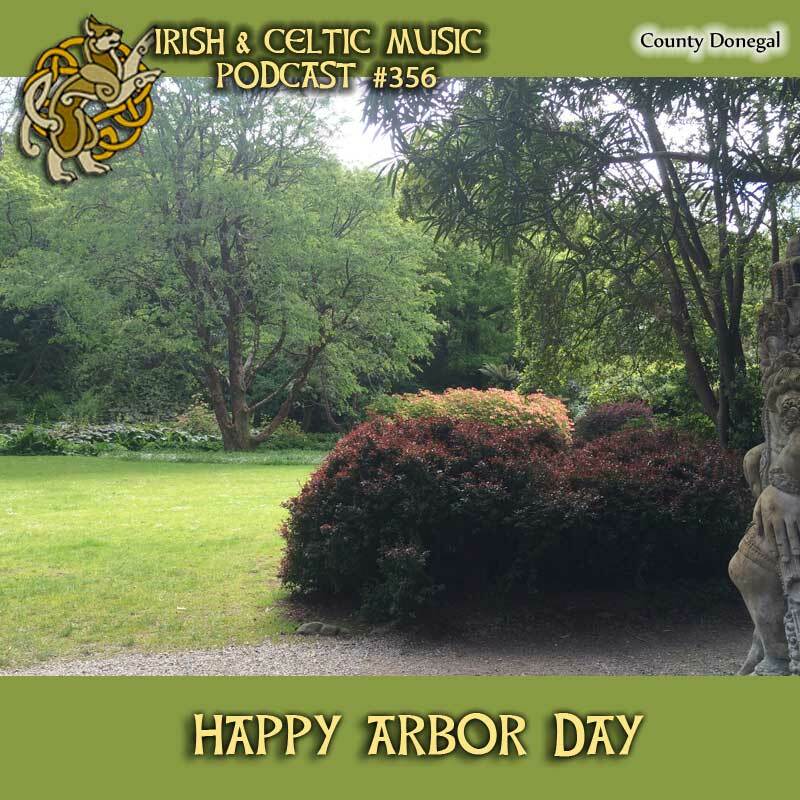 So this Arbor Day, I want to encourage you to plant a tree or take care of one tree in your town while you listen to the Irish & Celtic Music Podcast with tree-friendly Celtic music from Rattle the Knee, Anne Roos, Giant's Dance, Crepuscule, Slan, Michael Black, Dark Patrick, Nick Hennessey, Emerald Rose, Bag Haggis, Rathkeltair, Hair of the Dog, Bedlam. In fact, I'm pretty sure your tree will grow better with daily listens of Celtic music. The Irish & Celtic Music Podcast is supported by listeners like you. Your generous pledge helps pay for the production of the podcast as well as my time in producing it. Patrons get episodes before regular listeners, discounts on merch, and when we hit a milestone, you get a two-hour special. When we hit our next milestone, you'll get 2-hours of Celtic flute and whistle music. I really appreciate everyone supports this podcast. But I'm continually humbled by our Celtic Legends who pledge $10 per episode to support this podcast. Thank you to Nancie, Bryan Brake, Scott Benson, Hunter Melville, John Bilderback, Kevin Long, Annie Lorkowski, Derek Lineberry, Lynda MacNeil, John Sharkey White, II, Theresa Sullivan, Shawn Cali. Another way to support the podcast is with a 2018 Irish & Celtic Music Podcast t-shirt. Visit our store in April or May to save! Nataliya Semenova emailed on Facebook: "Dear Sir! I've subscribed on your Celtic Music Podcast in order to improve my English and because I like Irish and Scottish folk songs. Listening to your podcasts for two months I would like to tell you that you've done really amazing job. I'm fond of the music you collected. It's awesome! Thank you so much! Best greetings from Ukraine!" Kristi Green Rutmann emailed on Facebook: "Hi! listening in from Dawsonville, Georgia, USA. - Loving your track #296. I've been enjoying your podcasts for several days now - what a wonderful discovery! Great music to help me through the workday! This time last year, I was enjoying my first trip to Ireland and watching the parade pass by in Dublin! Your music helps take me back to those perfect days & favored memories! Thank you."